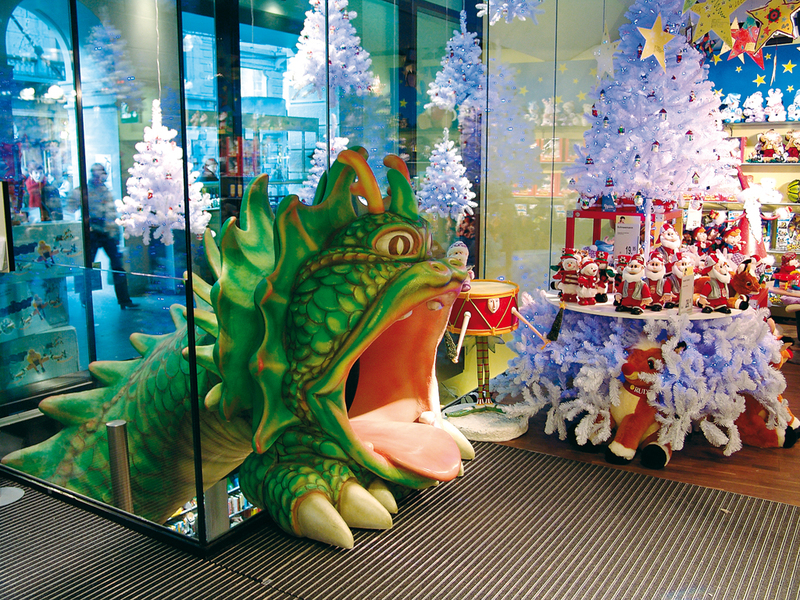 On the Zurich Bahnhofsstrasse a dragon causes a great stir. 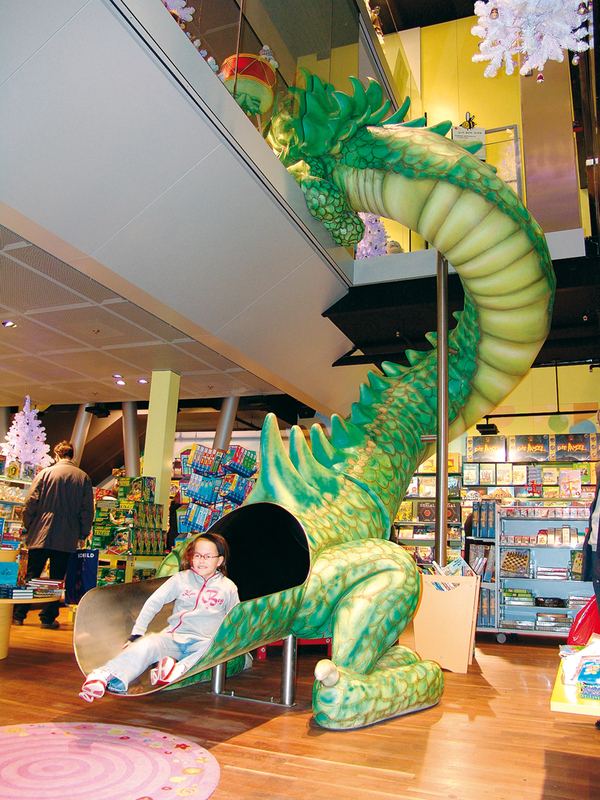 With its distinctive appearance this slide proves to be the attraction in the entrance area of Europe’s largest children’s department store, the “kids town“ in Zurich. The gigantic dragon’s head serving as the entrance to the slide not only thrills kids passing by but at the same time makes them want to slide down the 4.40 metre high stainless steel slide. The sophisticated and detailed work, for whose design the Reto Melchior Gmbh of Wetzikon / Switzerland was responsible, also has a commercial aspect. While the kids are sliding down into the basement, their parents have to follow them from the ground floor into the basement.